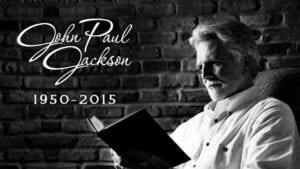 Recognized as a minister who revealed God, awakened dreams, and led people closer to Jesus, John Paul Jackson (1950–2015) was an authority on biblical dream interpretation for over thirty years. He renewed passion in people of various faiths and age groups with his sincere explanations of the unexplainable mysteries of life and enabled people to relate to God and others in fresh and meaningful ways. As an inspirational author, speaker, teacher of true spirituality, and host of the television program Dreams & Mysteries, John Paul enlightened hundreds of thousands of people across the world. He found satisfaction in his role as a youth mentor and advisor to church and national leaders, as well as in the promotion of the spiritual arts. John Paul Jackson is survived by his wife Diane, son Aaron Jackson and daughter-in-law Jennifer Jackson, son Micah Jackson, and three grandchildren, Kyler, Lauren, and Brett.